Entrepreneur Daniel Yazbeck has been thinking a lot about the Flint water crisis lately. With a background as a scientist, Yazbeck is drawn to analyzing problems and developing solutions. 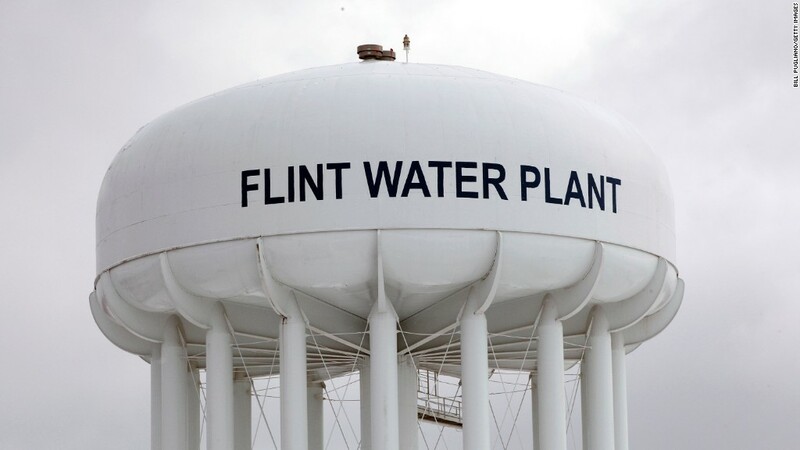 In January 2015, the contaminated water crisis came to a head in Flint, Michigan, when the city warned its nearly 100,000 residents that the water supply contained chemicals that exceeded permissible safety levels. The warning was followed by reports of individuals, including children, who had gotten sick; many had high-levels of lead detected in their blood. Yazbeck, at the time, was transitioning from working in product development at Panasonic (PCRFF) to launching a business. He had previously worked as a research fellow at Pfizer with a focus on chemical research and development technology. 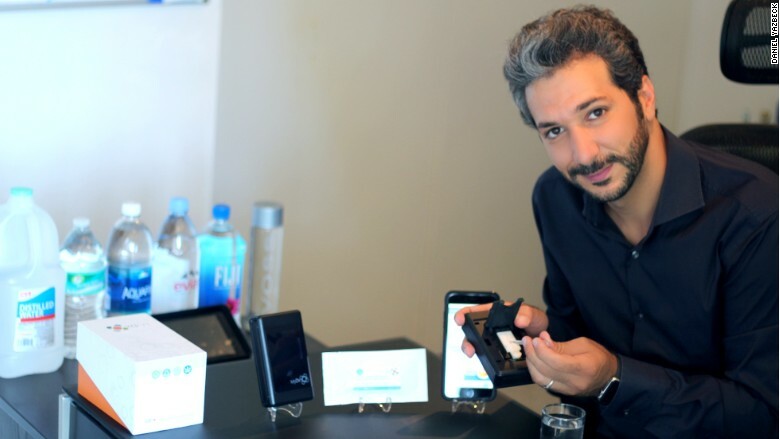 After launching his startup CDx in San Diego in 2014, he spent the next 12 months developing the first product -- a handheld analyzer called MyDx, designed to test the purity of what we drink, eat and breathe, including cannabis. "I wanted MyDx to be like a kitchen tool -- simple and easy to use," said Yazbeck. Daniel Yazbeck, founder of CDx. The device (about the size of two iPhones stacked together) is intended for use in at-risk households where water contamination is a problem. "It's a quick and easy way to check the water," he said. "You can do it weekly or monthly and track the water safety to see if it has improved or not." 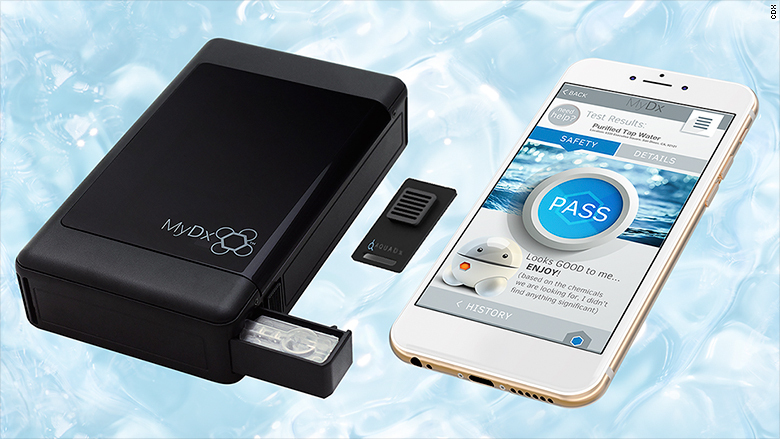 MyDx is designed to work with interchangeable sensors that test the quality of air, water and food. The first iteration of the portable plastic device was paired with a sensor to specifically test the quality of cannabis. While there are other tests on the market -- such as Pro-Lab and First Alert -- Yazbeck said MyDx takes a more modern approach. "We've digitized the process," said Yazbeck. "This isn't like a one-time at-home stick test to check drinking water. The system uses cloud technology to analyze the results against a database." Users get results back in a matter of minutes and are able to track results over time. 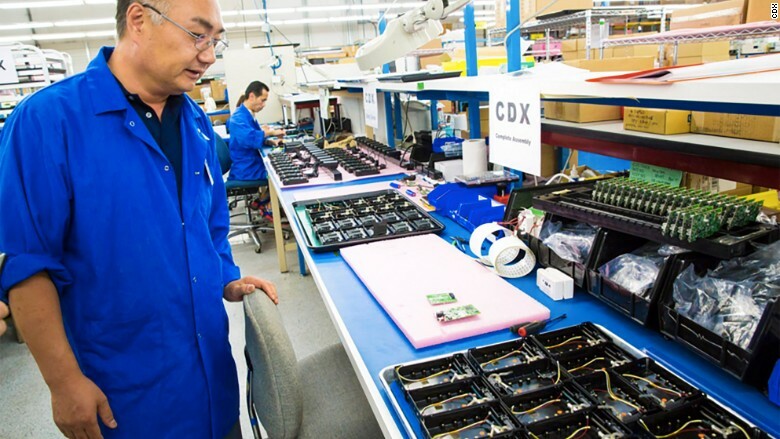 MyDx analyzers are manufactured and assembled in California. Yazbeck launched an Indiegogo campaign in February 2015 to crowdfund the device. "We needed $19,000 and raised almost $40,000," he said. "Part of the goal was to validate that there was demand for this device -- and there was." The first iteration of MyDx, which costs $699 to have at home, hit the market in May 2015 and has sold 2,000 devices. Its sensor enabled users to test cannabis samples for both potency and pesticide contamination. "We just signed a $4 million distribution deal to supply the analyzers for this purpose to hydroponic shops in the cannabis industry," he said. The second iteration -- dubbed MyDx2 -- is coming later this year and will pair with sensors to test water, air and food (not cannabis). It will look for for heavy metals, pesticides and other chemicals based on a few drops of water (or a sample of air) added onto the sensor. A future sensor will test for lead. The analyzer tests for water, air and food contamination. The water, air and food sensors will also work with the original machine. A pass or fail will appear on the screen in six minutes. Yazbeck said the results are graded against safety standards established by government agencies. Unlike the first MyDx, Yazbeck wants its successor to be mass-market friendly. "We're pricing it at $349, but I would love to get that price down to under $100," he said. He also wants to partner with cities like Flint and states like Alabama where contaminated water is a serious problem. The goal is provide the device to households at a subsidized cost, or even for free. "We would also embrace the idea of giving the device to schools for free, too," he said. "My vision is to have our machines in every city, in the hands of as many people as possible so that they can protect themselves."